The Southern Living Cookbook Library is probably the series of books I rely on most when looking for new recipes. I found the first of these cookbooks, the Cookies and Candy Cookbook, at one of the local flea markets about four years ago. It was filled with great recipes; it seemed impossible to make a bad recipe from the book. So when I happened to see the Meats Cookbook in Franklin, Tennessee, I picked it up. And then the Holiday Cookbook a few months later in Birmingham. I then quickly picked up several more on a pre-Hallowe’en run through Franklin and Nashville. As I came to rely more and more on the books in the series, I picked up new ones whenever I ran across one; of all old cookbook series, they seem especially scarce. I have a feeling that people don’t get rid of these books when they start culling their collections. I have not been able to find any official list of the books in the series. There are a couple of lists online, but these lists each miss at least one of the books. By my count, which could easily be wrong, there are twenty-two books. I made this count by searching for various permutations of Southern Living cookbooks; there are a couple of collections for sale with the spines out. Molasses ginger sandwich cookies from the Cookies and Candies book. Easy sandwich cookies, very good. Buttery. 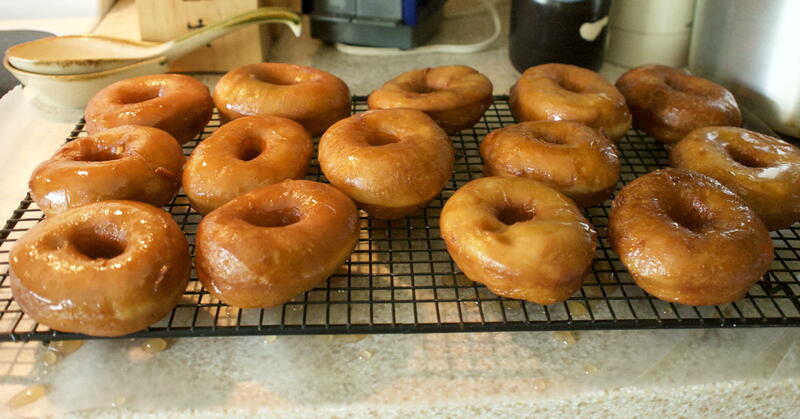 Glazed donuts from the Holiday book, made in a bread machine and deep-fried. Popovers from the Holiday book, made in the bread machine and then slathered in butter. If my count is correct, I managed to pick up the last missing book in the series, the Soups and Stews Cookbook, in August. And just like the first book rapidly became the first place I looked for cookies and candies, this has become the pre-eminent soup book in my collection. The uncooked tomato/yogurt soup alone is worth the book; it’s very simple, and very much something I would never have thought to try without seeing the recipe here. 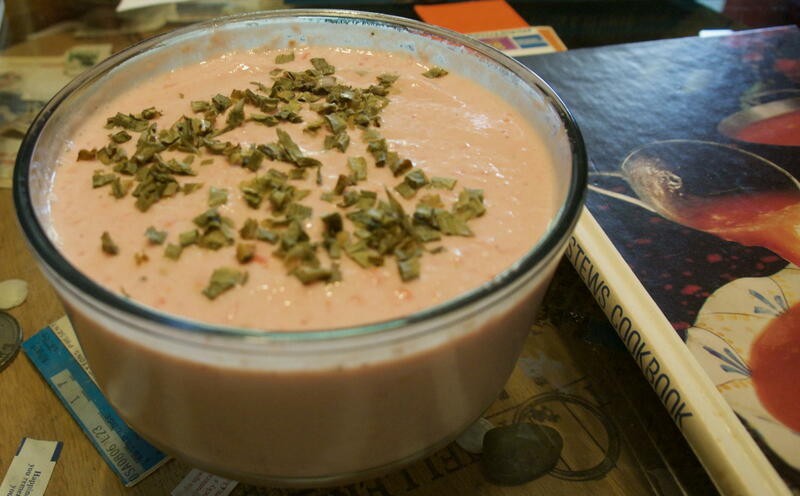 A pretty-in-pink tomato-yogurt soup from the Soups and Stews book. This requires no cooking, just blending. Tuna-yogurt salad from the Party Snacks book on Easter-raisin bread from the Breads book. 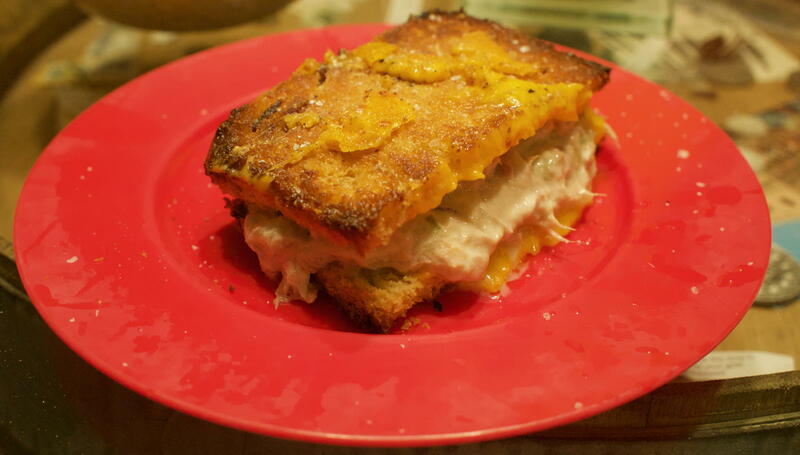 Easter bread makes a great grilled cheese! Very colorful sweet-sour short ribs from the Meats book. The color comes from pineapple and bell peppers. Publish dates between 1971 and 1979. No cover text. The title is on the spine. The publisher is either Oxmoor House or Favorite Recipes Press. From 1975 on up all of the books I have are from Oxmoor House. Before that they vary. The spine for Favorite Recipes Press books says PF/SL, for Progressive Farmer/Southern Living1. The earlier, PF/SL books are on non-glossy paper where the Oxmoor House books are on glossy paper. The latter makes the photos pop more but also makes the recipes harder to read. There is no author/editor named. 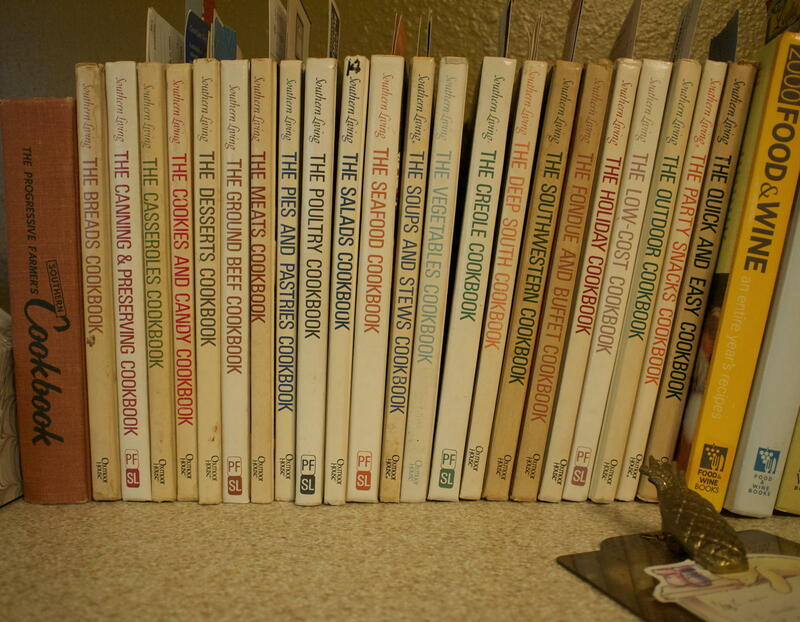 There was also a double-sized series, of which I’ve only seen two; they have authors and cover text. And there was a Southern Heritage series with a twee font and recipes that, glancing through the books when I see them, do not appeal to me enough to start collecting another series. 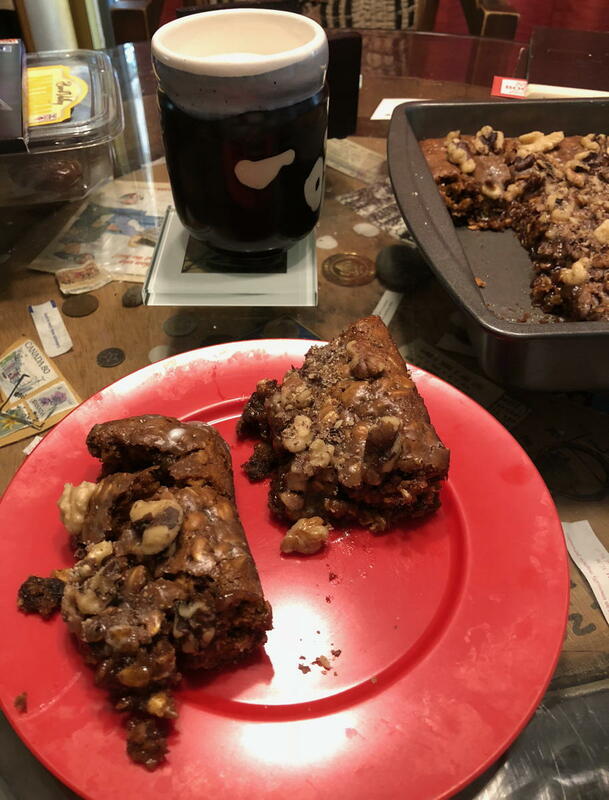 Gooey molasses-raisin bars from the Outdoors book. 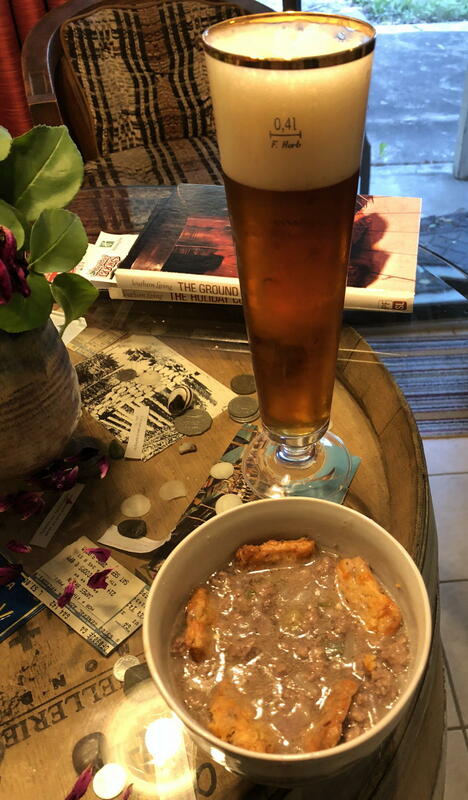 Caraway crackers from the Party Snacks book and ground beef gravy from the Ground Beef book. These crackers are amazing. 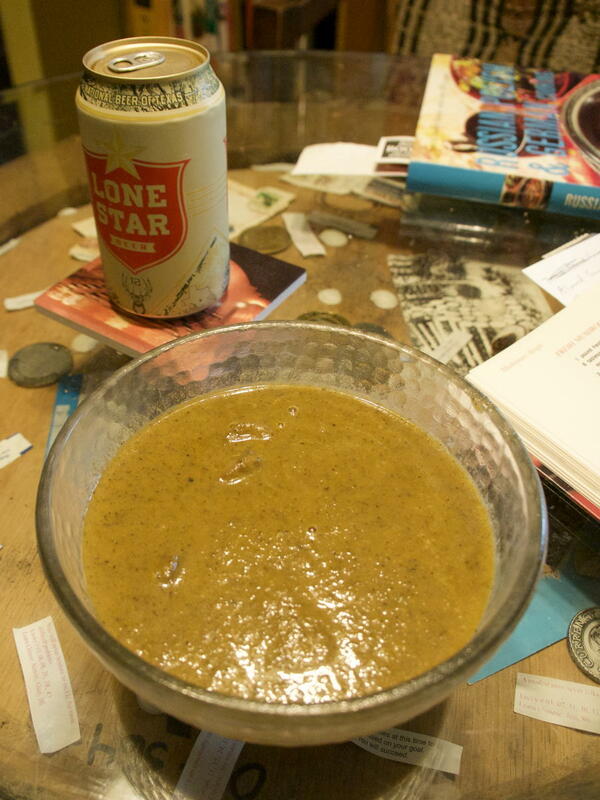 Fresh mushroom soup from the Soups and Stews book. Goes very well with Lone Star. This is very clearly a seventies library. There are recipes that rely on canned soups, and recipes that rely on gelatin—especially in the salads book—but fortunately not too many of either. The cover photos are solidly in the seventies or earlier, with the Lovecraftian olive-loaf cover of the Meats Cookbook leading the pack, although the devil-worshipping ritual on the cover of the Fondue and Buffet Cookbook comes in at a close second. In one or two cases, I’ve picked up the book because once you get caught in a serious cookbook collection, the tendency is to take it as far as you can. So even though I don’t can foods, I do have the Canning & Preserving Cookbook. I’m not sure I’m going to do any Fondue, but the Fondue and Buffet Cookbook is still fascinating. And the buffet section remains useful past the 1976 print date. It’s the kind of stuff I would more call pot-luck: potatoes au gratin, stuffed round steak, Creole bean salad. It’s a great companion to the Party Snacks Cookbook. 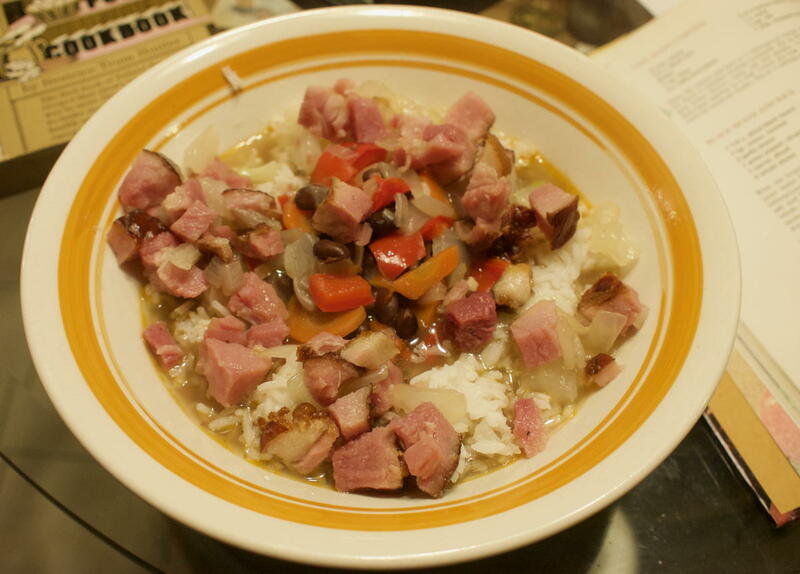 Black beans and rice with ham from the Vegetables book. Simple, colorful, tasty. 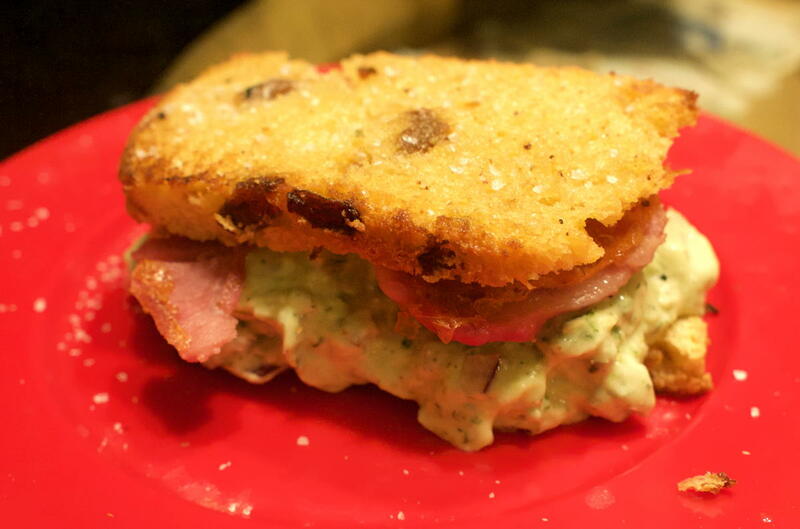 A ham sandwich with dilly avocado spread from the Party Snacks book on Easter-raisin bread from the Breads book. 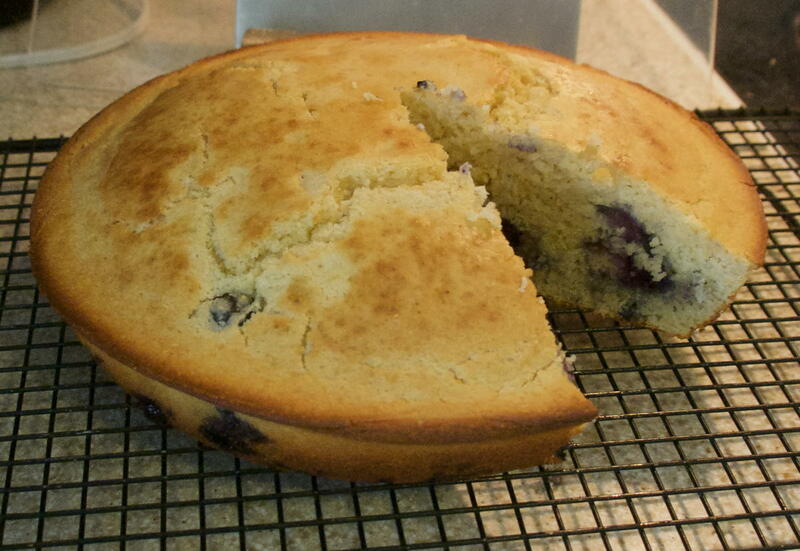 Blueberry cornbread from the Deep South book. Wonderful for breakfast with bacon and eggs. The photos I’ve included here are a small representation of the various dishes I’ve made from recipes in this collection. Most of the recipes I’ve chosen are simple ones, as that’s what I prefer. You can certainly find more complex recipes. Looking at them is making me hungry, especially that blueberry cornbread and those wonderful sandwich spreads. Finally, I have also included a list of the books in the series. As far as I know this is the entire series. I know these exist, as I have them, and I have never seen any others either in bookstores or doing searches and image searches online. This may not be a complete list, but it is the most complete list I’m aware of. I’ve put the table in order by year, by default, but you should be able to sort by name if you click on the Volume column header. 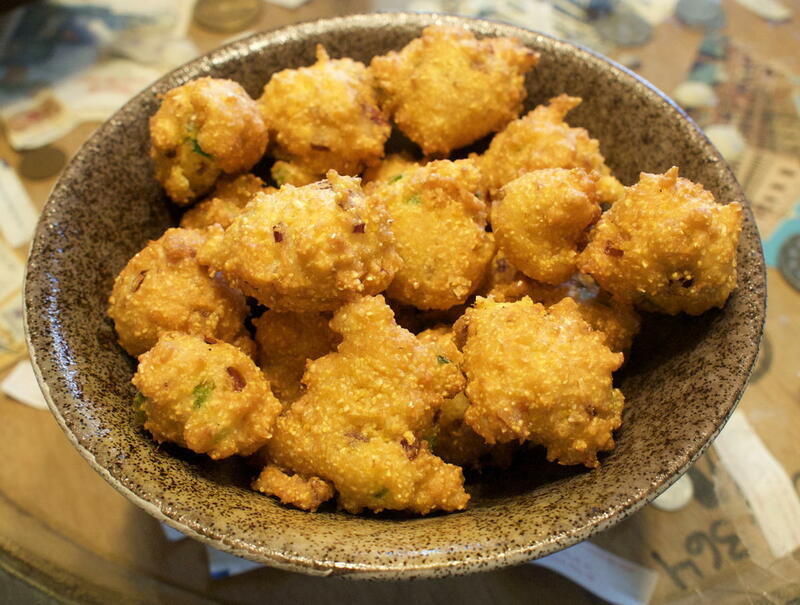 Hush puppies from the Low-Cost book. 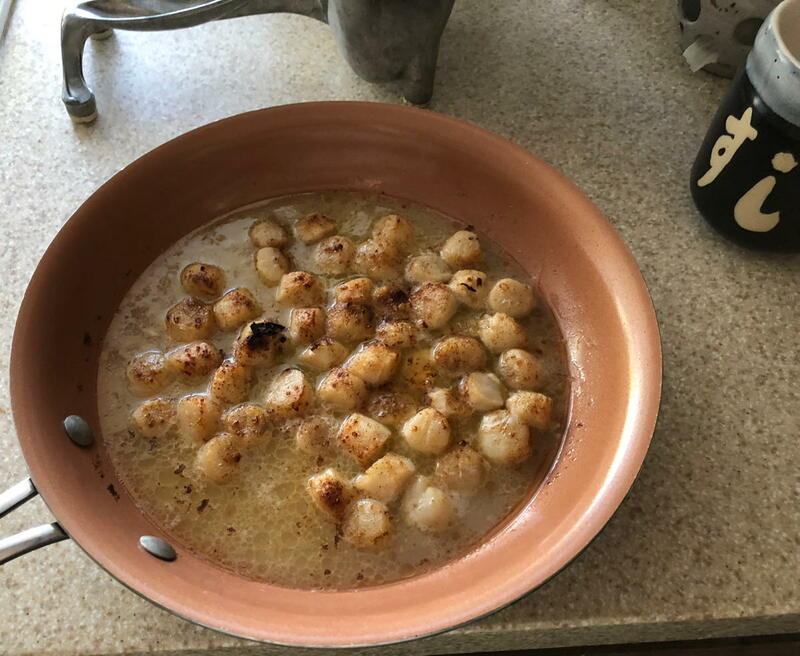 Lazy-day broiled scallops, from the Seafood book. A great choice for the broiler. 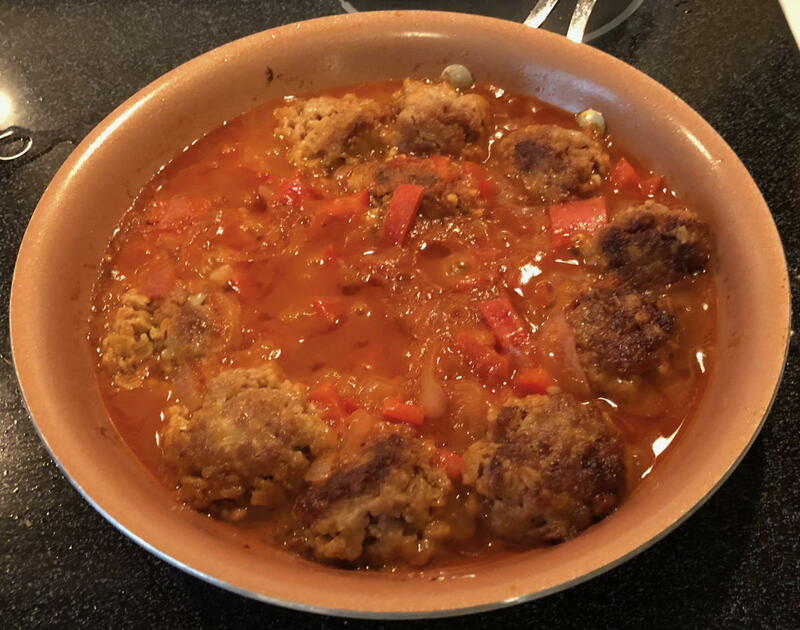 Meatball delight from the Party Snacks book. Meringue is perfect for pi day because it’s all about the volume. Tomorrow is Pi Day, and to celebrate, you should have erudite circular discussions of mathematical philosophy, over a sector of pie. 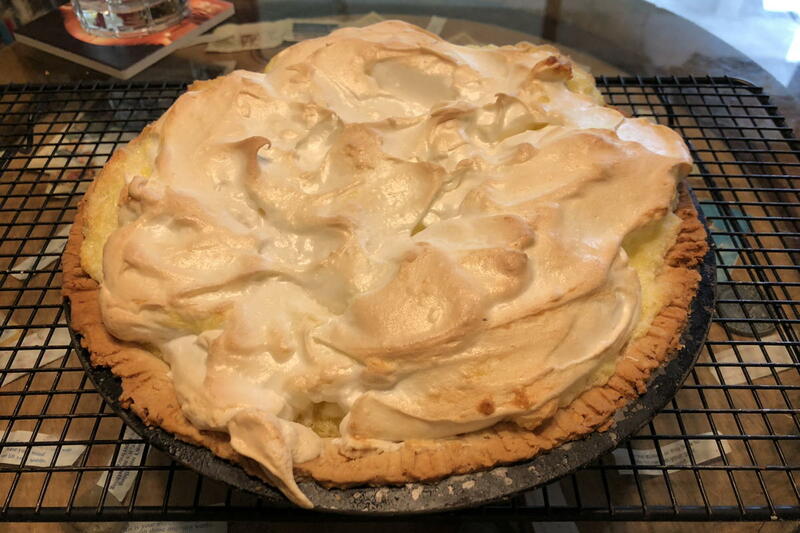 I’m generally partial to fruit pies or nut pies, but every once in a while I have a craving for a good lemon meringue. Until recently, custards have always bedeviled me. I never seem to cook them long enough, no matter how long I wait. Because of my impatience, the custard ends up too runny or burnt. I’ve been doing a lot better lately, and mainly because of the incredible Southern Living Cookbook Library series. The Holiday volume has an amazing almond-silk pie, for example. The Food & Wine series has also been helpful—you can see the edge of their annual collection in the previous post but I’ll have more about that later. So when I saw that this lemon meringue pie from the Fondue and Buffet volume of the series was labeled Perfect Lemon Meringue, it was impossible to pass up even if the name does seem guaranteed to disappoint. What in this world is perfect? This pie comes close. It is in fact very easy. And it is easily the best lemon meringue pie I’ve ever made. It manages to make the dangerous part of lemon pie, the filling, easier, at least for me. During the period that these cookbooks came out, Southern Living was published by The Progressive Farmer Company. The Oxmoor version is titled “Southwestern”. This is the only installment I have seen where the title differs between the two publishers. A great book from a great library. Look especially for Texas golden puffs, Onion bread, and Easter raisin bread. I can’t really say much about this, because I don’t do either canning or preserving. But it does have some interesting jam and jelly recipes in it. 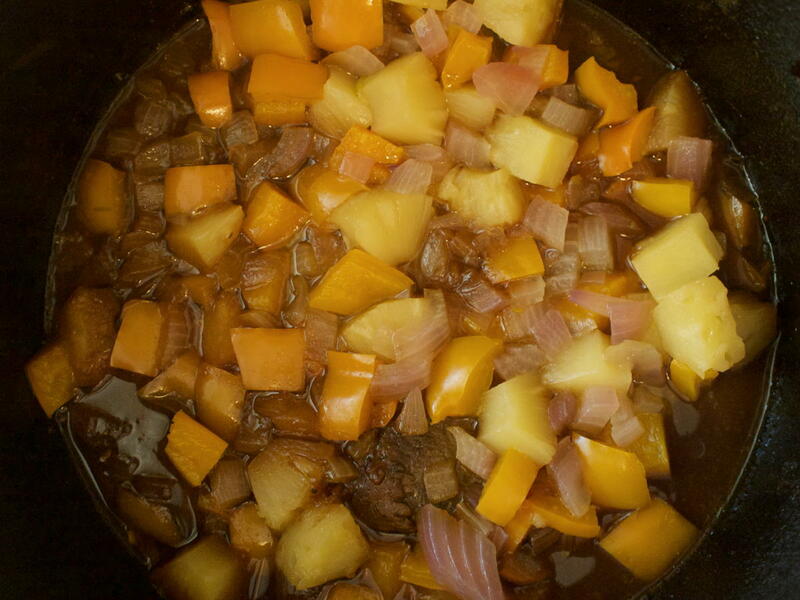 A simple veal and rice casserole, and beef stew with corn bread topping. This is the book that convinced me to collect this series. Oatmeal-butter cookies, peanut butterscotch bars, blonde brownies, peanut-meringue squares, molasses sandwich cookies, and more. Green beans with herbed butter; Blueberry cornbread. German apple cake; fresh peach meringue; French apple pie; lemon-date squares. Not just fondue, but also recipes designed for chafing dishes, and generally things you would place on a buffet—or pot luck. Some great pies: a very simple lemon-meringue and a caramel-pecan. Ground beef gravy; Mexican eggplant skillet. Almond silk pie; Glazed donuts; Ginger cookies; Popovers. One of my favorites. Filling dishes, and most remain low-cost. Lots of recipes using leftovers to make breads, for example, such as hush puppies and crackling bread. Some recipes are designed to stretch slightly more expensive ingredients out. Nice Indian corn stew. A great and simple banana-peanut-marshmallow salad, and some nice honey drop raisin/walnut cookies. Tuna sour cream filling; Dilly avocado dip; Caraway crackers; Meatball delight. Replace the sour cream with Greek yogurt. The almond-vanilla torte looks amazing. The barbecue chicken alone looks like the book is worth it. Berna’s Chocolate Tart! Note, by “quick” they mean up to an hour and a half. This book, from 1972 has a whole lot of salad recipes I will never try. Just about every section, if not every section, has recipes for salad “molds”, that is, salads encased in gelatin. From asparagus mold to molded egg salad to congealed corn beef salad, gelatin was not just for fruit in those days. That said, every section does have non-congealed salads as well, so in between laughing in mild disgust, you can also make some nice, if old-fashioned, salads, such as slaws, potato salads, and many kinds of fruit salads, where gelatin remains, dare I say, kosher. The Italian Scampi was amazing—basically just shrimp, butter, garlic, and paprika. A lot of the recipes call for some sort of canned soup, such as tomato soup and pea soup in the crab bisque, or mushroom soup in the lobster casserole, but there are still many recipes I want to try. A great tomato-yogurt soup that requires no cooking; a fresh mushroom purée; almond saffron soup. Nice stuff. The best, because it covers Texas. Corn pudding, a garbanzo bean paste, and an eggplant/pepper stew that is very good off the stove and as leftovers. Also lots of okra, sweet potato, and black-eyed peas. This cookbook contains the first rice pudding I’ve made that actually turned out as good as the stuff I buy at Trader Joe’s! Cooking for two means doing a lot of math, some of it impossible—how do you cut a raw egg in half?—or which builds up a whole lot of leftovers. My answer has been to only make foods that are so good I don’t mind leftovers, and that store well especially in the freezer, but this book has me rethinking that strategy. The Southern Living Cookbook Library last modified February 13th, 2019.